Number of persons on your boat, the people’s capacity rules seem to have changed in 2015 in Hong Kong. Until Mid 2015, the Hong Kong’s marine department would give permission to number of people on board depending on the builder’s certificate of the boat. This rule has recently changed in Hong Kong and is causing a lot of stir with the boat owners and the professionals in the boating industry. The Marine department of Hong Kong recently have their own calculation to decide the capacity of people a boat can carry. And this is usually less than what the yacht manufacturers recommend and less that what the actual boat is built for. After all, who wants to buy a 24 ft speed boat and be able to carry only 4 people. While the normal capacity the boat is built for is 8. Well, there is a way around it. But its surely not good for the reputation of Hong Kong’s Marine department which is known to be one of the most efficient in the world. 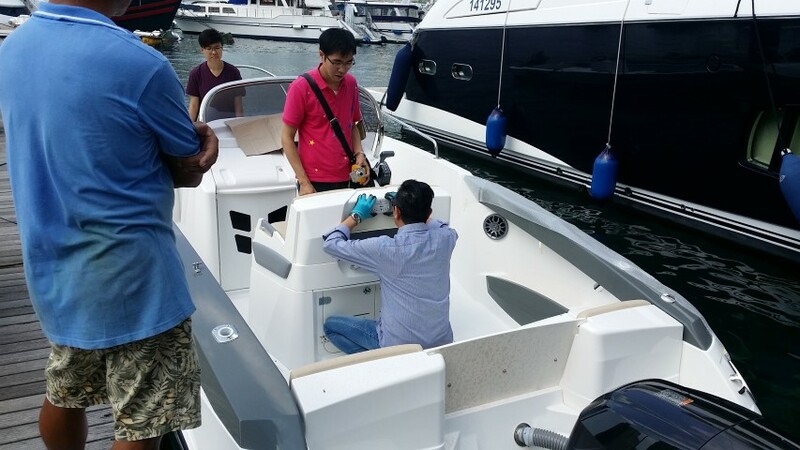 The boat owners are now subjected to do an incline test on their boat by an authorized marine surveyor. The test costs any where between HKD 4000 to HKD 15,000, depending on the size of your boat, the number of people etc. For a speed boat however, the test is quick. The owner is made to make the boat available for the surveyor and needs to arrange the number of people that he requires on the boat. The people are boarded on the boat, made to stand on one side of the boat and the inclination of the boat is tested. When everything is under the safety standard the certificate is issued by the surveyor which needs to be shown to the Marine department and the capacity of people on your boat can be increased. We understand the safety concern that the marine department faces. But pleasure boats rarely capsize in the city, and the accidents on the sea usually occur due to bad handling of the captain who is operating the boat. If the marine department is so serious about safety, they should have a practical boat operating test rather than a multiple choice exams that people memorize by practicing past papers. More over they should be keeping eyes on the water where local fishermen moor their dinghys and fishing boats blocking all access to others. Picture of Incline test carried out by an Authorized surveyor.